Includes the 18-55mm Zoom-NIKKOR VR lens and AF-S DX VR Zoom-NIKKOR 55-200mm lenses, ideal for shooting wide through telephoto subjects. 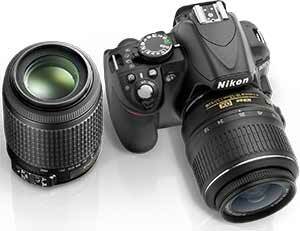 Both NIKKOR lenses offer fast, accurate autofocus and VR image stabilization for sharp hand-held pictures and movies. 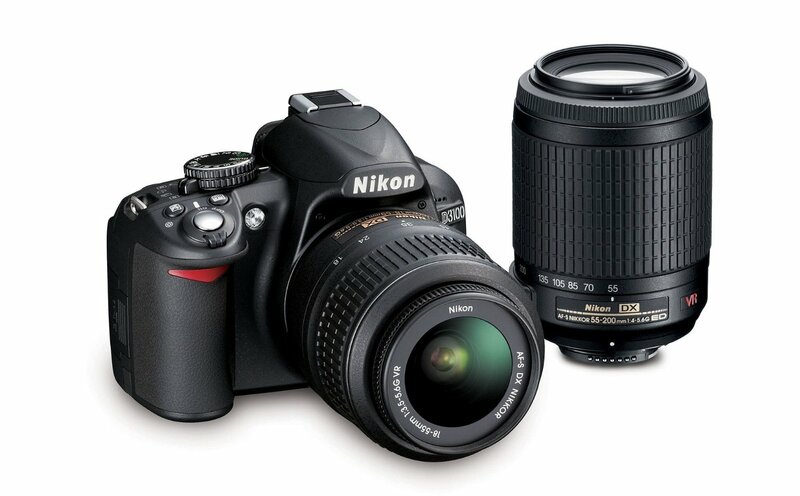 Nikon equipped the Nikon D3100 14.2MP Kit DSLR Camera with 18-55mm with a newly developed CMOS sensor for outstanding subject detail and smooth color gradation. Whether shooting photos or Full HD movies, the sensor is crucial to image quality. The high pixel count of D3100’s sensor produces photos of striking clarity, revealing all the nuance of the original scene with minimum noise—ideal for intricately detailed textures and noise-free background defocus. 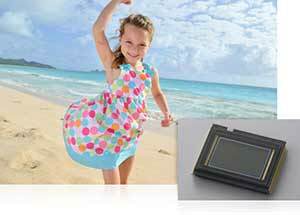 D-Movie and shutter release modes further enhance ease of use. 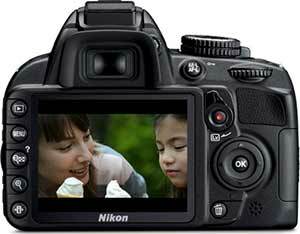 Nikon D3100 14.2MP Kit DSLR Camera with 18-55mm can shoot approximately 3 frames per second—great for capturing dynamic motion and elusive facial expressions that are a challenge for any photographer. 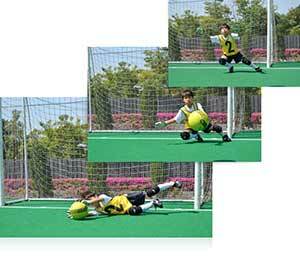 Simply rotate the release-mode selector and shoot away. Split-second shutter response eliminates the frustration of shutter delay, capturing moments that other cameras miss. 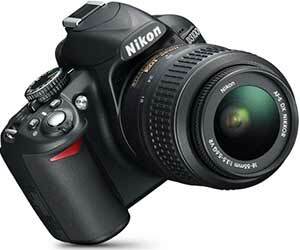 The Nikon D3100 Digital SLR Camera is an affordable, compact, and lightweight photographic power-house. 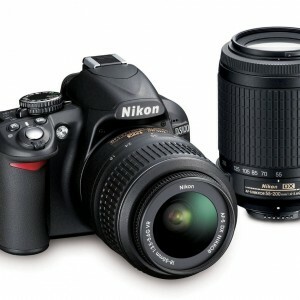 It features a high-resolution 14.2 MP CMOS sensor along with a feature set that’s comprehensive yet easy to navigate – the intuitive onboard learn-as-you grow guide mode allows the photographer to understand what the Nikon D3100 14.2MP Kit DSLR Camera with 18-55mm can do quickly and easily. 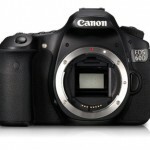 Capture beautiful pictures and amazing Full HD 1080p movies with sound and full-time autofocus. Easily capture the action other cameras miss with a fast start up time, split-second shutter release, 3 frames per second shooting and 11-point autofocus. 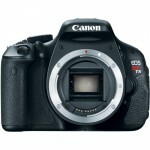 Capture pictures and make movies in near darkness with an ISO range of 100 to 3200 (expandable to 12800-Hi2). EXPEED 2, Nikon’s new image processing engine, assures breathtakingly rich image quality, managing color, contrast, exposure and noise. One-touch Live View and movie recording lets you see the action on the 3″ monitor and the Scene Recognition System automatically chooses the ideal settings. 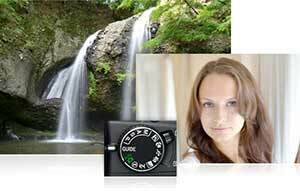 You can also select from 6 Automatic Exposure Scene Modes- Portrait, Landscape, Child, Sports, Close-up or Night Portrait for stunning results in otherwise challenging conditions. Active D-Lighting restores picture-enhancing detail in shadows and highlights. A built-in pop-up flash is ready for those times when there just isn’t enough light and in-camera image editing allows creative freedom and effects, without the need for a computer. Two lenses are included in this B&H kit; the Nikon 18-55mm VR and the 55-200mm VR. Both lenses feature Nikon’s Vibration Reduction (VR), to minimize image blur caused by camera shake. Between the 2 lenses you will able to shoot everything from groups in tight spots to faraway subjects. Also included is a gadget bag to hold your new camera and lenses.